In just a few short days, the next MCU adventure Spider-Man: Homecoming will bring Robert Downey Jr. back to the big screen as Tony Stark. We also know that he will return for Avengers: Infinity War, which is currently filming, and most likely for Avengers 4, but it seems the actor is preparing for his MCU retirement. Here's what the actor had to say in a new interview while he was promoting Spider-Man: Homecoming. "It's this cyclical thing. I could have said when the first Avengers came out: 'It's never going to get any better than that. Everybody stop.' But to me it's always about people and opportunities, like the (Avengers directors Anthony and Joe) Russos, who I adore. Everyone says to me it's like a glove that fits so well. I have to start over every time but I am starting over with a pretty solid base. I just never want to blow it for the last six or seven (MCU movies) I have done by dropping the ball because I decided to go do it one more time. I just want to hang up my jersey before it's embarrassing." 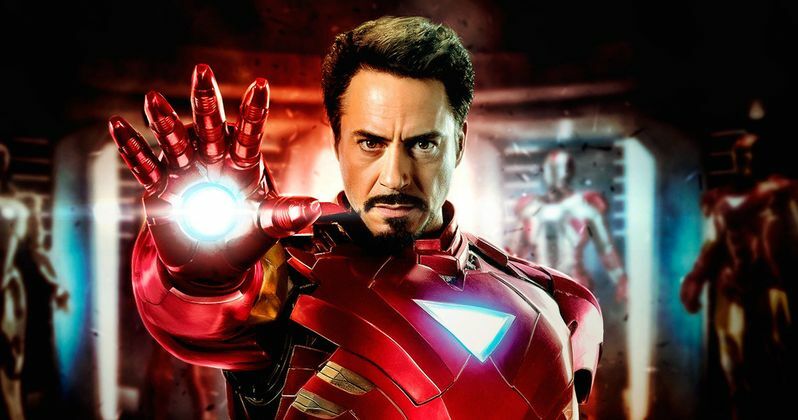 Of course, Robert Downey Jr. wouldn't confirm exactly when he's going to retire from the MCU in his latest interview with News.com.au, but there have been rumors that Marvel may kill off all or most of the original Avengers, which includes Iron Man, Captain America (Chris Evans), Thor (Chris Hemsworth), Hulk (Mark Ruffalo), Hawkeye and Black Widow (Scarlett Johansson), but that hasn't been confirmed. Still, since most of these Marvel stars are at or nearing the end of their contracts, many are wondering how long they'll be sticking around for. Here's what Robert Downey Jr. had to say about Spider-Man: Homecoming, an experience which he compared to the first Iron Man movie. "I felt like we were literally back in the writer's room on the first Iron Man movie. So there was a real sense of a homecoming toward this, not experimental, because there is so much more data now and the process is so much more streamlined, but I didn't feel like I was being asked to just fit in somewhere. They wanted us to bring our own little thing." Marvel is also prepping Spider-Man: Homecoming 2, although it has recently been confirmed that the sequel will not feature Iron Man or the villainous Vulture (Michael Keaton). It has also been confirmed that this movie will be set just minutes after the Avengers 4 ending, with Spidey seemingly dealing with the epic consequences of that movie, which will close out Phase 3 of the MCU. It's possible that Tony Stark/Iron Man won't be returning because his character will be killed off in Avengers 4, but that has yet to be confirmed.